This is a pretty dramatic version change so it probably needs to be re-tested for portability before an update is posted. v4.63 is out. Haven't tested the current version for portability. For lack of better option, the present has been made the official forum topic for Pegasus Mail (http://www.portablefreeware.com/?id=422). Pegasus Mail v4.71 is released (changelog is at http://www.pmail.com/v47x.htm). 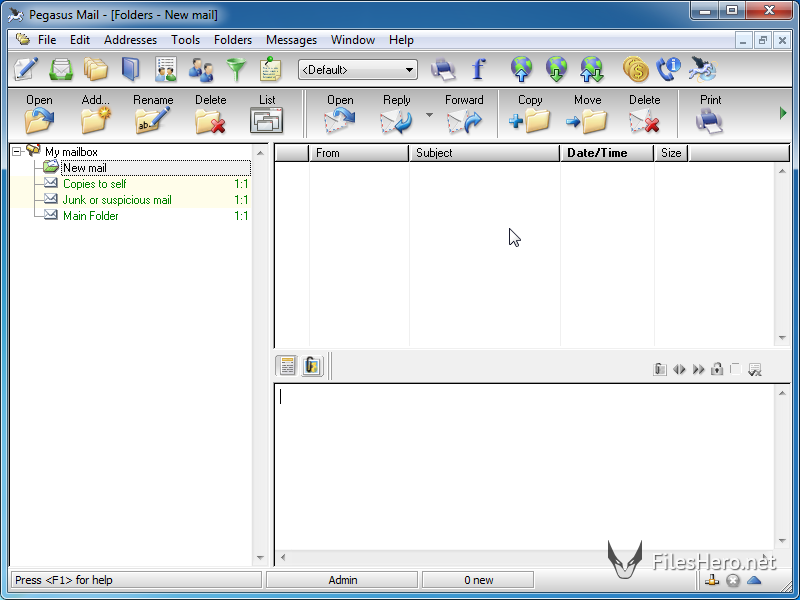 [url]http://www.pmail.com/overviews.htm[/url] author wrote: Pegasus Mail is a free, standards-based electronic mail client suitable for use by single or multiple users on single computers or on local area networks. A proven product, it has served millions of users since it was released in 1990. It is extremely feature-rich and powerful, yet remains small and fast. @webfork: please amend OP subject and/or move topic as needed. Thanks in advance. Pegasus Mail v4.72 released (changelog: http://www.pmail.com/v47x.htm). Midas wrote: Pegasus Mail v4.72 released (changelog: http://www.pmail.com/v47x.htm).